You’ve most likely heard the saying or have been told “Food is Fuel.” I want to update this saying to “Food is more than fuel; it is chemical information.” Unhealthy foods instruct the body to manufacture fat cells, but healthy foods provide the raw materials required for body to function optimally and can be seen as a language that programs every function of your cells. I want everyone to know, there is more to losing weight than just counting calories. Weight gain and loss isn’t so much about energy as it is about information. There are two different kinds of fat that demonstrate this perfectly: Omega-3 and Omega-6. These are essential fatty acids that are nearly identical in structure. But to our cells, they are as opposite as night and day. In 1995, a journalist named Jo Robinson started looking into a biological process called apoptosis.1,2 This process, also known as programmed cell death, is a kind of cell suicide in which a damaged cell recognizes that it is more harmful than useful for our bodies and dutifully takes itself apart. What she found was that by using catheter tubes to directly feed cancerous tumors growing in rats. When injecting the rats with omega-3 the mice’s cancer growth was slowed or even reversed. While injecting mice with omega-6 accelerated the growth factor four-fold. Jo, in 1999, then went on to write the best-selling book The Omega Diet, which is based on this research and other research findings on omega-3 and omega-6. These fatty acids contain essentially the same caloric energy, so why would one make cells divide and another bring cell division to an abrupt halt? Clearly, this process of growth is controlled by something other than calories. Discoveries about omega-3 and omega-6 point us to an even more powerful biological truth than just the fact that we could use more omega-3 in our diets. That truth is, nutrients and chemicals we consume, will in effect tell our cells what to do – when to divide, which proteins to manufacture, and even what type of cell to become.3,4 This shows us that our cells are incredibly sensitive to the specific nature of the chemical messages we send them every time we eat. Thus, by altering the blends of nutrients (or toxins) in our food, we should be able to control whether our cells function optimally, or convert to fat, and turn cancerous. Most Americans have an omega-3 to omega-6 ratio problem,5 but this is just one of many dietary imbalances that send a barrage of mixed-up signals to our cells. How do we go about fixing all the problems that develop because of these dietary imbalances? Eating foods that send the right messages. This will allow you to “Get rid of inflammation that blocks cellular communication and enable you to convert fat cells into healthier tissues.” Although healthy eating is a major contributor to our health we must not forget that more to health such as sleep and physical activity. These send different message and generate other chemicals that help your body know what you are expecting of it. So, what must you do in order to reshape your body and achieve optimal health? There are four steps that will start you down the right path. I’m going to go over two of these steps in concluding this article and the other two steps next week. The truth is we can’t be healthy without it and here’s why. Body fat, known medically as adipose tissue, generates chemicals required for sexual development and reproduction, immune defense, blood clotting, circadian rhythm, and even mood and concentration.6,7,8 But this is not a case of more is better because, paradoxically, too much fat and not enough can cause many of the same problems. Both, fat-less and fat mice have been shown to be prone to insulin sensitivity, glucose intolerance, hyperphagia, weight gain, fatty liver disease, and high triglyceride levels.9 Many of us are trying to slim down, but most have never heard the whole story of fat, it’s function, or even how you can control it. Yes, that’s right, I have wonderful news that fat cells (like all cells) are ready to take the instructions you give them. Physical activity and the foods we eat are the primary ways to give these fats cells direction, by way of certain chemical signals. Since most of the food we eat get sent to the liver first, consuming fructose can effectively trap dietary carbohydrates in your liver and converts them to fat, preventing them from even making it to muscles where they could be used during exercise. Keep in mind that carbohydrates are converted into sugar (glucose) inside our bodies, once consumed. This is why I recommend keeping daily carbohydrate intake to less than 125 grams per day. This total includes sugars and “complex” carbs (like starches). 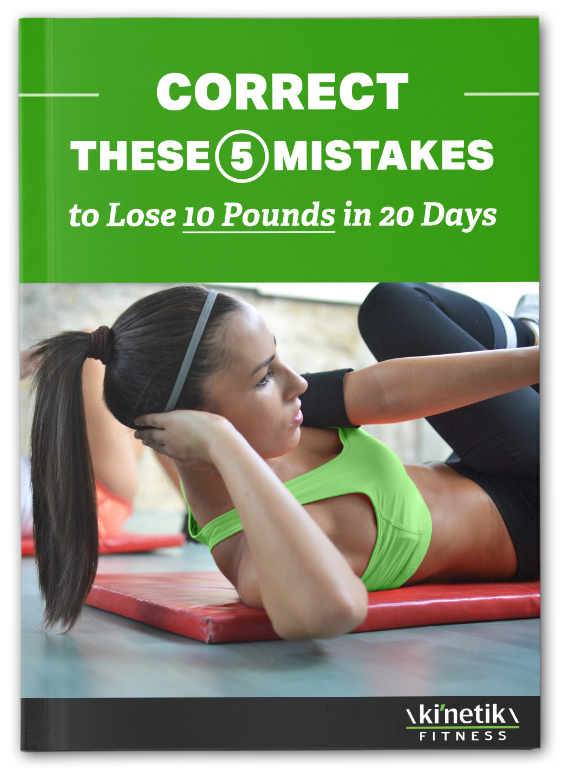 For maximum fat loss in the shortest amount of time!